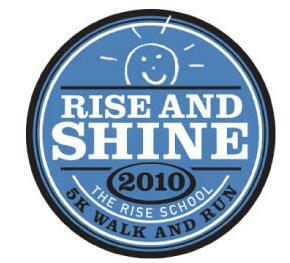 Only 2 more days until the Rise & Shine 5K! This is our “graduation” if you will from the Spring Woodlands Fit Club. We’ve spent 12 weeks meeting every thursday evening and Saturday morning to go workout. It’s been great meeting all of the new people. I haven’t progressed to running much, but I have increased my walking speed and endurance. This 5K will be a street run, so it should be a bit easier than the sand and dust at the Muddy Trails race a few weeks ago. I just have to remind myself to take it easy and enjoy it…don’t try to push too hard. 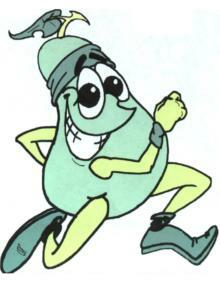 I also signed up for the Pearland Pear Run 5K on May 8th. So, that means I’ve been averaging a 5K about every couple of weeks lately! The Pear Run will probably be my last race until it starts to cool down again at the end of September or beginning of October. The Pear Run will be my 6th race I’ve competed in. That’s exciting to think about. I’ve come a long way, baby. Of course, I have a long way to go too! This entry was posted in Races and tagged Pear Run, Race, Rise & Shine, Woodlands Fit on April 22, 2010 by Tammy. This weekend was pretty good. I didn’t do a whole lot. Saturday I got up and went to fit club. I got a little over 2 1/2 miles in and enjoyed the weather. Then when I got home, my husband had already left for his mother’s. I had decided I would go with him since I hadn’t been over there in a while, but he told me to stay home or go do whatever I wanted. So, I stayed home and relaxed. I took a nap and enjoyed not doing anything! When Mike got home we went out to eat at Outback. I ordered the cheeseburger but only ate half of it. I gave the other half to Mike and left many of the fries on the plate. I also had a margarita, which was yuuuummmmy! Usually I’d have 2 or 3, but I nursed this one through the entire meal. Sunday Mike and I didn’t do much of anything again. Mike worked all day or various things/projects. I watched a movie and read for a while. The dogs were able to enjoy the lovely weather outside, which they loved! 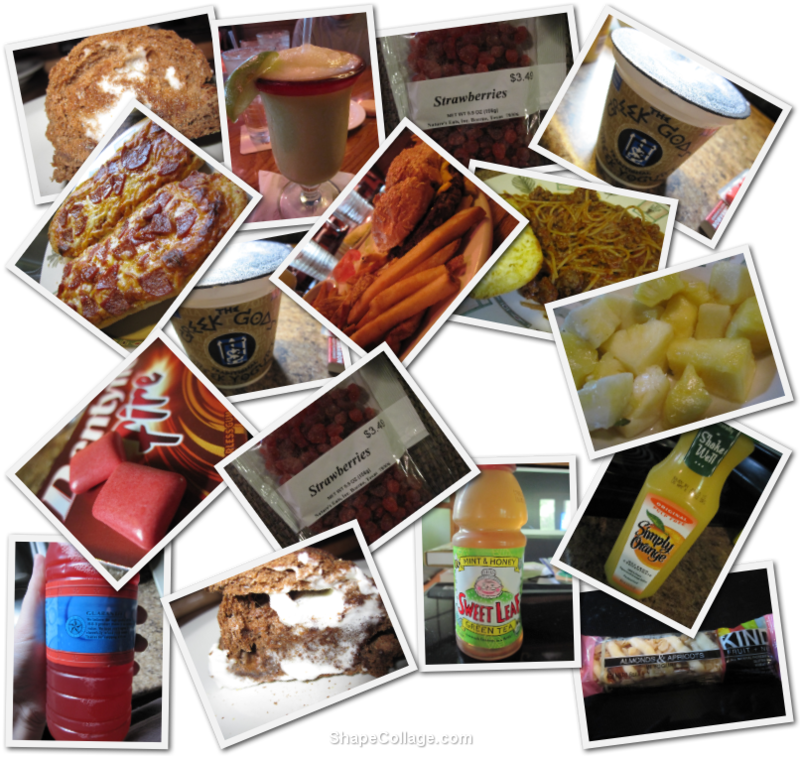 This entry was posted in Food Log and tagged Daily Summary, Woodlands Fit on April 11, 2010 by Tammy. I only got in 2 miles today. I was running pretty good but didn’t overdo it. My ankles were bothering me a little bit, but that’s to be expected when you don’t workout all week! 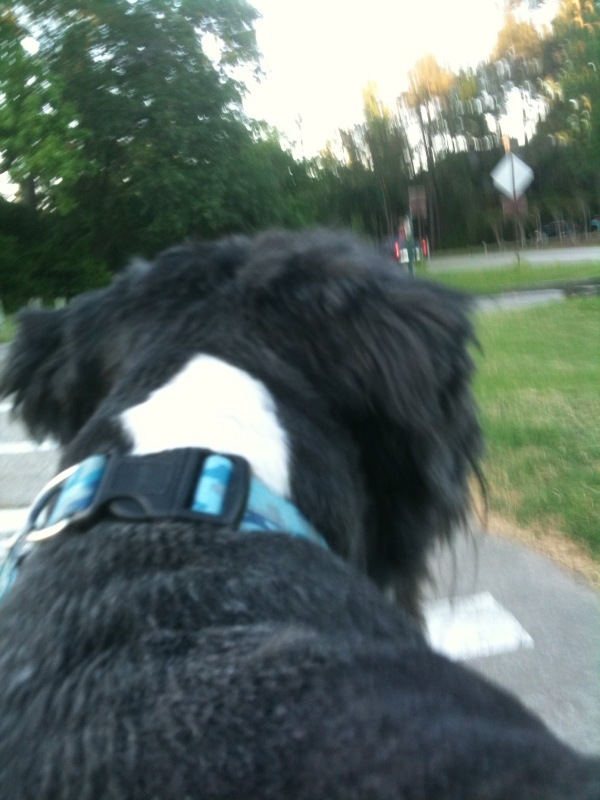 I was about 1/4 mile into my run/walk when a dog showed up. He kept stopping to mark his territory, then would catch up with me again. Several people gave me dirty looks because they thought it was my dog off a leash. He stuck with me for 1 3/4 miles. I called his owner and had to stop for a little while until his owner showed up. When she got there he ran into the car without any argument. She didn’t even say thank you, but at least Sparky made it home safely. It was fun having him along though. It made the run enjoyable. If my dogs weren’t so spastic I may try to run with them out there as well. 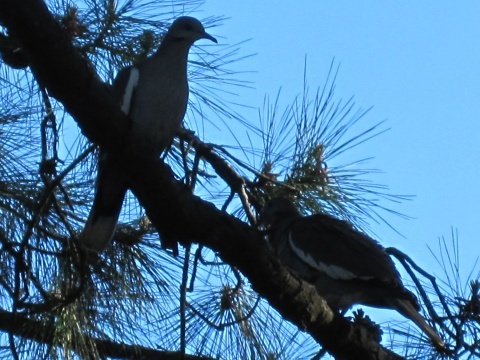 I also came across a pair of dove. 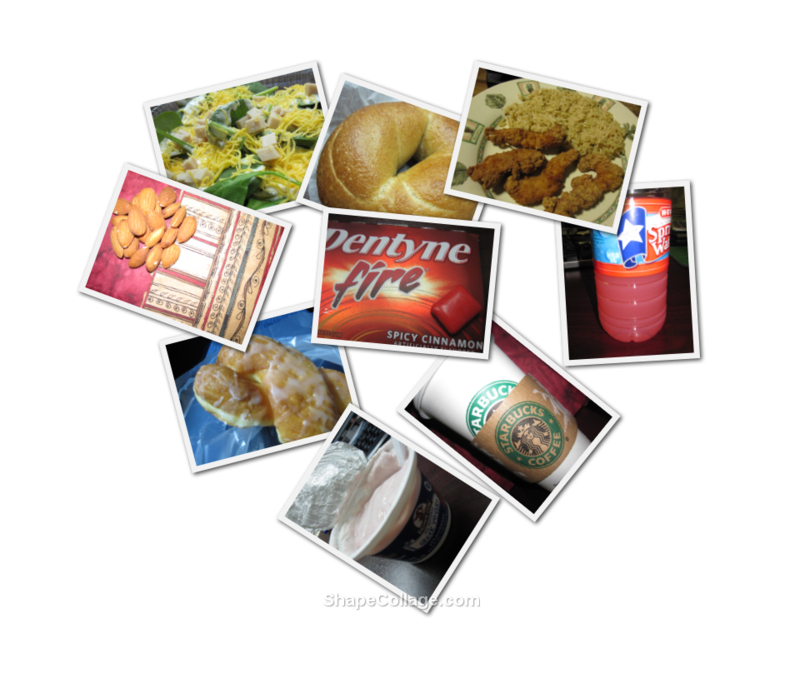 Today was my first day to photograph my food intake as well. I’m going to post them as a collage as most of them won’t require a description. You will see a donut on here, but I only ate 1/2 of it. It looked so good, but didn’t taste that great! 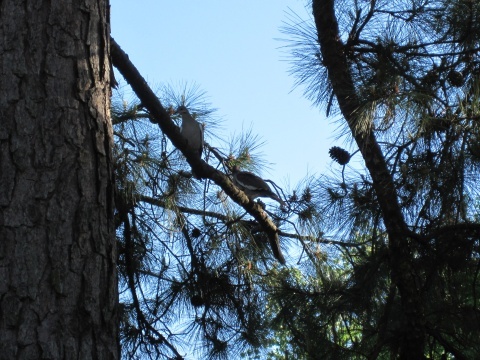 This entry was posted in Food Log, Workout and tagged Daily Summary, Woodlands Fit, Workout on April 8, 2010 by Tammy. 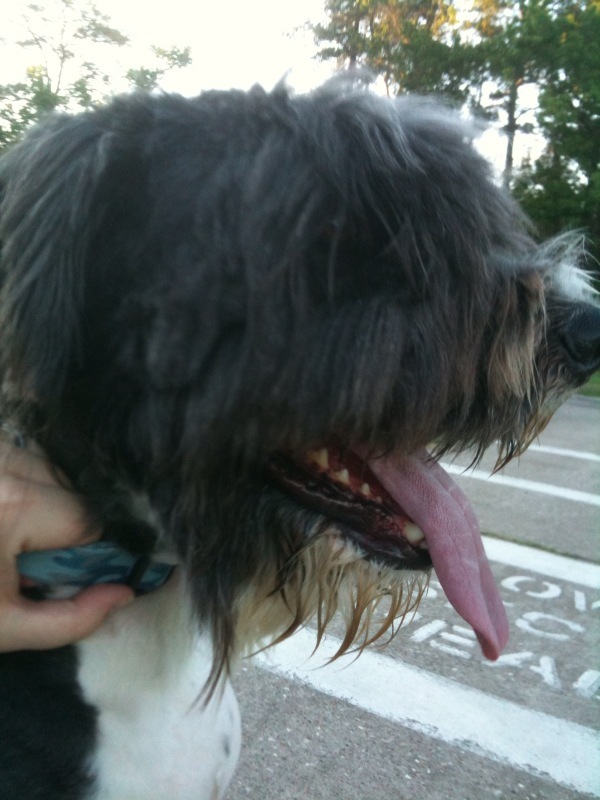 We did our workout again at the Tamarac Park. It was a good workout. I was able to get my heart rate up and got some running in. It seems like most of our people have stopped coming to the Thursday workouts. I hope they’ll be at the 5K on Saturday. We had a pretty good group going into this. One of the ladies, Irma, slipped on her flip flops and in turn broke her leg. She always had such a great outlook. Hopefully she’ll be back at it after her leg heals up. I came across these bowls in my new Shape magazine. They’re the Measure Up Bowls and have the measurements marked on the inside of the bowl! How cool is that?! Have a healthy Easter everyone! This entry was posted in Workout and tagged Health, Weight Loss Tools, Woodlands Fit on April 2, 2010 by Tammy.